What do you think of when you hear the word “Pharisee”? If you’re familiar with the New Testament or you’ve just been in the church long enough, you are probably familiar with them as the opponents of Jesus, or maybe even Christianity itself. Or as some sort of priestly Jewish leader type. Or as legalists–people trying to earn salvation through works. Or as hypocrites. Or all the above. I say this because these are the ways that most Christians tend to talk about them. And they all need at least a bit of tweaking. When the Old Testament leaves off, we just have “Jews.” This was the name given to Israelites shortly upon their return to the land of Judea from exile. When the New Testament picks up centuries later, we still have “Jews,” but we also have some particular types of Jews. Those mentioned explicitly are the Sadducees and the Pharisees. The Sadducees are mentioned much less often and get much less coverage in the discussions of the church. Probably the main thing we do say about them is that they don’t believe in the resurrection (i.e., of God’s people), because this is what the New Testament most often calls them out on. Other groups we know existed at this time are the Essenes and what is usually referred to as the Zealots. Each of these special groups within Judaism focused on a particular Jewish symbol. For the Sadducees, it was the temple. So, we see in the New Testament that it those who work in and maintain the Temple are often Sadducees. Sacrifice is the name of the game for these people. For the Essenes, whom it is widely regarded composed the Dead Sea Scrolls, the main Jewish symbol was the land. The land was promised to Israel by God but it had been tainted. They were wanting on God to put it in right order again. For the group sometimes known as the Zealots, the main Jewish symbol was the kingship. God had promised Israel way back in the day an ever-reigning Israelite kingship. That wasn’t in place. So the main idea was to put the rightful, proper, Jewish king back in his place. These people were hard after the Messiah. And for the Pharisees, the main Jewish symbol was the law, or actually Torah, better translated “instruction.” What mattered primarily for them was not so much the temple sacrifice, as important as that was. It wasn’t the land, though that mattered, too. And it wasn’t the Messiah, though it’s clear many of them hoped for him as well. The Torah was the most important way that the Pharisees saw as how to properly live life in relation to God. Now here’s the thing. Focusing on Torah wasn’t necessarily a matter of “works-righteousness.” We post-Reformation Christians tend to think in those terms because of how things in the church got messed up a bit several centuries ago. We now focus so much on “belief” as opposed to “action” in order to stress that salvation comes through faith alone and not through actions. There’s some worth to this. But let’s avoid anachronism. Doing things to merit salvation wasn’t a hot-button issue for 1st-century Judaism. They had not just gone through the Reformation. The problem was, rather, as it is often in the Gospels, that they focused on their mere outward activity while neglecting matters of the heart–which–is not something that is unique to Pharisees but is characteristic of Israel through the ages and is characteristic of Christians today. It is characteristic of humanity, it seems. In other words, the trouble with the Pharisees in the New Testament is largely about hypocrisy. But in no way should “Pharisee” be synonymous with “hypocrite.” However, this is of course what has happened. The situation is so bad that there are Christians today who think that the word “Pharisee” literally means “hypocrite.” (I can’t really blame them because this is actually one meaning listed under “Pharisee” in most dictionaries.) Not only that; I remember hearing several times over the years in Bible studies how “Pharisaical” someone’s behavior was. This is a way of saying someone was wrongly focusing on outward actions without regard for those actions’ real meaning and purpose. This could be due to either hypocrisy, or even worse, someone trying to earn their salvation. So there really is a problem with Pharisees and hypocrisy in the New Testament. But to make hypocrisy their defining feature is shortsighted. And to take their entire identity and to summarize it so negatively is misguided. Back to the “works-righteousness” idea for a moment. Yes, the Pharisees were scrupulous about the law. They were the chief preservers of the oral tradition, or oral law, about how to fulfill the written law of Moses, i.e., what we have in Genesis through Deuteronomy. So they added more laws? LEGALISM! WORKS-RIGHTEOUSNESS! Right? Well, again, no, not necessarily. 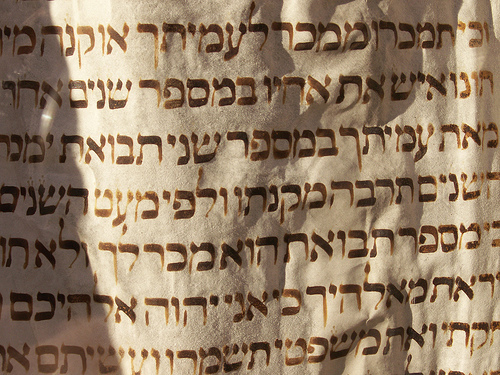 The Talmud is composed of two things: 1) The Mishnah, which is the written form of the oral law which was passed down for centuries about how to best fulfill the law of Moses. 2) The Gemara, which is the commentary on the Mishnah. I once heard a pastor talk so disparagingly of the Talmud in a sermon. As if it was wrong to discuss how best to honor God by properly fulfilling the requirements of the Mosaic law. I wonder if he would rail against the notes in study Bibles or commentaries series? The thing is, the law leaves itself open to the sorts of conversations we have in the Talmud. Example: Keep the Sabbath holy. Ok … but how? This is where oral tradition comes in about how best to keep the Sabbath holy. If you’re concerned with keeping commandments, you need to be concerned with how to do so. And this pastor preached as though Jesus came to us from Judaism! He didn’t–he came to save us from sin. Sin that manifests itself in many ways, such as hypocrisy and focusing on mere outward action instead of doing business with the heart. But not sin which manifests itself in seeking to be faithful to the law of God which, by the way, was seen as a great gift of love to his people. Also, we must remember that what happens with Pharisees and Jesus in the Gospels are intra-Jewish debates. This is not about Christianity against Judaism. In the Gospels we have a Jew talking with other Jews about how to be proper Jews–and it doesn’t involve dismissing either the oral or written law. Ok. So the Pharisees in all likelihood weren’t trying to earn their salvation through some sort of legalism or works-righteousness, whatever that would look like in 1st-century Palestine. They did have a problem with hypocrisy, but then again so does everyone else. “Pharisee” doesn’t mean “hypocrite.” And it would be best for everyone if “Pharisaical” would just drop out of usage. And, Pharisees aren’t best seen as the enemies of Jesus and/or Christianity, either. Yes, they are often the antagonists in the Gospels, but this is literary characterization at work. The “bad guys” aren’t always strictly “bad,” even if for the sake of the narrative they are construed as such. We ought to take this point seriously. That the Gospels are crafted stories (not counting them out as history, here) should help us realize that though they serve as points of conflict the Pharisees are not thoroughly bad people. Many times, in fact, the antagonists in a story are actually “good guys” and the protagonists are “bad guys.” Think of The Godfather, for example. Well, what about describing them as “Jewish leaders”? Or “clergy”? Or even “priests”? Nope. Contrary to common perception, to be a Pharisee was not necessarily to be a Jewish leader, or some sort of cleric like a priest. Most were lay people who may have had strong opinions about how the priests should be doing their jobs, but they were lay people nonetheless. There may have been some Pharisaic priests, but to be a priest you must have the proper lineage. Indeed, there was no strict membership policy for being a Pharisee. As long as you believed the things that Pharisees believed and took up the Pharisaic cause, you were a Pharisee, no matter what your occupation was. And, some members of the Sanhedrin, the highest council in Jerusalem, were Pharisees (John 3; Acts 23). But to be a Pharisee doesn’t mean you’re on the Sanhedrin and vice-versa. Some of the confusion here is probably due to the fact that Pharisees are often mentioned along with such leaders in the New Testament. Such as being mentioned with scribes. This connection is so strong because law experts were needed by the Pharisees for accurate interpretation and application of the law. Scribes were not just copiers of the law who produced new scrolls. It’s often thought that this is their only occupation, but their primary duty was to serve as the scholars, or experts, of the law. As we see in the Gospels, some scribes were themselves Pharisees. Again, to be a Pharisee wasn’t a vocation, it was more like being a Baptist, or a Methodist. It was a matter of religious affiliation more than anything else. All that being the case, what else can we say about the Pharisees? Well for one, not only can we count them out as being enemies of Jesus and Christianity, we would be right to consider more of their positive qualities. Aside from their piety, Pharisees preserved some doctrines that have been very important for Christianity. The most significant of these is the doctrine of the resurrection. They had a strong belief in the afterlife–which, for them, was not an immortal soul leaving its body and going to heaven. That was the Greek view adhered to by the Essenes. The Pharisees had a proper doctrine of the physical bodies of the righteous being raised and the punishment of the wicked. And it is not only through the Gospels that Christians have a doctrine of resurrection, but probably primarily through the only Pharisee from which we have authored documents–the apostle Paul. Paul’s love for the Torah, his hope in resurrection and the Messianic age–all of it is grounded in his dearly held beliefs as a zealous Pharisee. So not only do Christians owe something to Pharisaism, but it was the Pharisees’ version of Judaism that lasted after the destruction of the Jerusalem temple. Their focus on the law allowed them to adapt to the changing historical conditions and so Pharisaism was the precursor to the Rabbinic period from which our modern forms of Judaism have descended. So, go out there and hug a Pharisee.